Learn the secrets to quality muscle mass and strength gains (Video Edition). 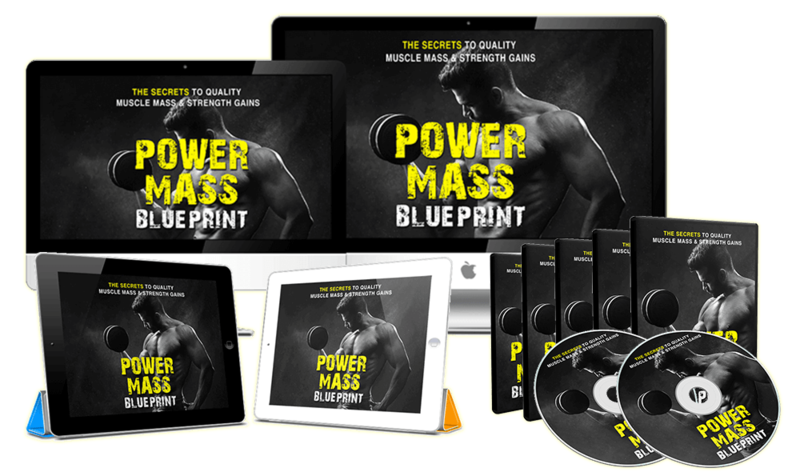 "Power Mass Blueprint is the ultimate video course to help you get bigger, stronger and ripped ... so you will be more attractive, stronger, healthier, and have more self-confidence to excel in all areas of your life. Look aesthetic, attractive and strong even with the shirts on! Dominate their life by becoming the absolute best version of themselves physically, mentally and emotionally. Have unstoppable bursts of energy, radiating positive vibes, creative, & insanely motivated to achieve more in life. Best Fitness Apps to Measure Progress"
When you purchase the product you also get resalling rights.